Ironically, production of “eco-friendly” furniture takes tones of natural resources. Those manufacturers who understand that are gradually starting to consume less natural materials and focus on the reduction of wastes instead. But is it possible to create something beautiful and aesthetically pleasing using this approach? Of course! Benjamin Hubert, an English industrial designer and innovator, keeps surprising us with his new creations every year. All the pieces of furniture designed by him are characterized by modern minimalistic shapes, ergonomics and elegancy. And each of them is created under technologies of the so-called “economical production”. Benjamin believes that design in quite simple and it can take minimum amount of materials and no redundant wastes. This designer can create a piece of design from almost nothing and the result is always inspiring and impressive. And it’s not just economy. It’s industrial design of top quality. Benjamin Hubert works with such brands as Nike, BMW, Samsung, Braun and PepsiCo. Unfortunately, many of his achievements are confidential, but today we’d like to speak about his favorite sphere of job – upholstered furniture and innovative fabrics. It all started from two arm-chairs dubbed “Juliet” and “Garment”. Their frameworks seem to be dressed with upholstery, which made this furniture geometrical, lightweight and airy. And there was not a single wasted centimeter of fabric, leather or metal in their production. The same is true for the “Inlay” and “Prop” sofas. They perfectly fulfill their main functions and can be easily fit into any contemporary interior. And the materials used are only of ultimate quality. The manufacturer claims that they would take a few times more hours and resources to produce, if the brand were not aware with Benjamin Hubert’s philosophy. Many world brands pay much attention to ecological issues, recycling and reduction of wastes. Benjamin traditionally chooses such companies for collaboration. 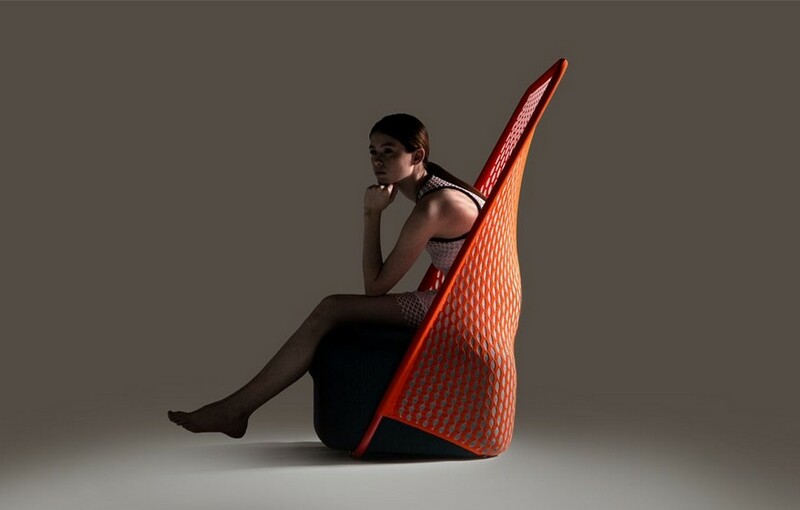 One of the latest fruits of his partnership was the Cradle Collection by Moroso, Italy. In this union Benjamin created a special net fabric that perfectly stretches and preserves its shape, which makes arm-chairs made in it not just fancifully-shaped, but also extremely ergonomical and “aware” of all the anatomic features of a human’s body. The arm-chair looks very airy and resembles a hammock, but it’s very super durable and strong at the same time. With the help of his innovative fabric Benjamin Hubert has already created many interior pieces besides arm-chairs. And they’re becoming increasingly popular among international designers despite their seemingly exaggerated minimalism.